Practically everyone has experienced a power surge in their homes. Power surges can be caused by lots of sources both inside and outside the home. Surges come from your own electronics, fluctuations in the power grid, and even lightning strikes that happen during storms like what’s experienced in Arizona during monsoon season. Our modern homes include many electronic components including simple phone chargers, entertainment systems, lighting systems, alarm systems, smart appliances, and much more. Surges can damage them beyond repair, costing home-owners in the tens of thousands of dollars of combined loss every year. It’s possible to protect your home and electronics by using whole house surge protection. 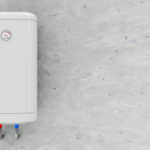 In this article, we’ll discuss the different types of surge protection. Spoiler alert – you need them all. Another spoiler alert – they’re worth it. A power surge is when the electricity on a power line spikes higher than the line is rated for. This can be caused by any type of spike on the power line including lightning strikes, motors switching on or off, and routine electrical spikes from the power grid itself. Many are concerned with lightning, and lighting is something to be concerned about (especially in the AZ summer months), but routine electrical spikes can happen at any time. Spikes are common from the power grid when the power company switches grids to maintain electrical loads. It’s even worse in rural areas and it’s especially bad if you live near the end of the power line where the surge has nowhere else to go. You can even have mini-surges in your home from turning appliances on or off. If you’ve ever seen your lights dim as an A/C unit turns off, then you’ve seen this type of mini-surge. This is a shock to your electrical system and can damage other devices on the line over time. This can damage the equipment associated with that power line including anything plugged into the line. That damage can be costly. Unless you have experience in electronics and electrical repair and have the tools and equipment, it’s not something you can fix at home. Many of the modern appliances, such as ovens, dryers, etc., include control boards with microprocessors. These are delicate circuits that can be damaged by surges. They’re also expensive to repair. 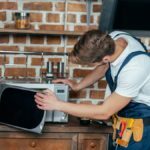 Sometimes the repair can cost as much as a new appliance. 95% of electrical damage comes from surges from electrical sources. About 80% of these surges are caused by devices in the house. Only 5% is caused by lightning. Damage from these spikes is unnecessary and can be avoided with surge protectors. Using surge protection can even increase the lifespan of your appliances. There are several levels of surge protection that are specified by the Underwriters Laboratory (UL). UL is a global company that tests and certifies products for safety. Each of the levels indicates the characteristics of the surge protector and describes what it’s suited for. Type 1 – entrance – lineside. This goes between your incoming power line and your service box. It protects against lightning and external power surges. It provides protection for items not directly tied to your main power panel, such as well pumps, gates, irrigation systems, and fences. They’re installed by the power company. Type 2 – branch – your power distribution and subpanel. This is installed to your breaker box and protects all of the circuits and subpanels on that panel. An electrician can install it. Type 3 – point-of-use. These are special power strips that plug into outlets to protect anything plugged into that outlet. Anyone can install them. All three types should be used together in order to obtain maximum protection. Minimum protection requires surge suppression at two of the locations for sensitive loads. 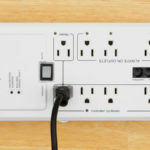 Whole-house surge protectors connect to your home’s electrical supply, either before or at the electrical panel or meter, protecting your entire home from surges on both the power line (type 1) and from devices in the house (type 2). Type 1 protects anything connected to the line outside the home before the panel. This provides protection for outside systems, including those that often have their own power panels, such as outside lighting, security, gates, well pumps, central heat and air, outside buildings, etc. Type 2 protects the outlets and run the surge to the breaker box, protecting all of the electrical outlets in the home. They not only protect electronic devices, such as TV’s, game systems, and microwave ovens, but also large appliances, water heaters, central heat and air units, attic and whole house fans, well pumps, etc. Point-of-use surge protectors plug into the wall outlet and provide more outlets that electronic devices and appliances can be plugged into. They look like power strips, but their purpose isn’t to increase the number of things that can be plugged into an outlet. They’re designed to handle surges to protect anything plugged into them. 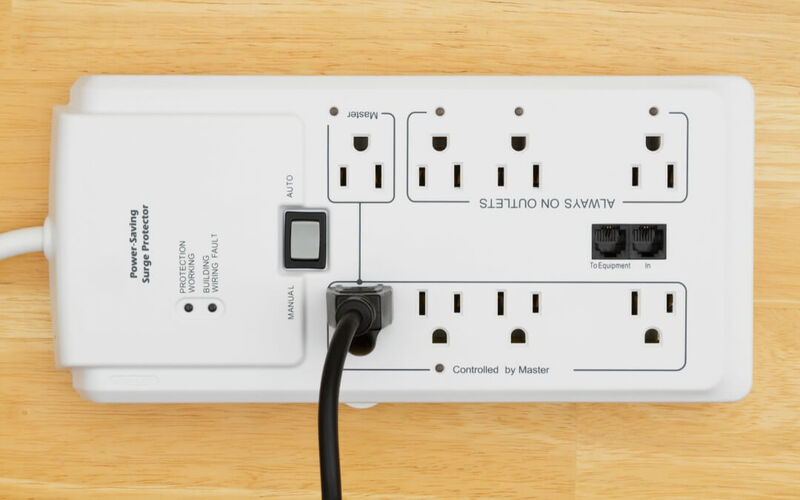 Point-of-use surge protectors are great for something that can be plugged into them, but you’d need one for every outlet that you want to protect, and they can’t protect larger appliances. Anyone can install them since they plug into any outlet. They should be used along with whole house surge protectors rather than in place of them. For the best protection, we recommend using all three types of surge protectors. Whole house surge protection is an inexpensive way to protect your appliances and electronic devices from electrical spikes on the power lines. Point-of-use surge protectors are a great way to protect individual outlets and anything plugged into them from mini-surges that can happen in the home after the electrical panel. Together, they can save you a lot of money in repairs and replacements, and extend the life of your appliances up to 30%. It’s even possible to get discounts on your homeowner’s insurance. Whole house surge protectors will pay for themselves the first time you don’t have to replace damaged equipment. Previous post How Much Can I Save with LED Lighting? 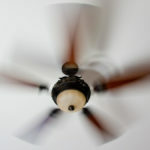 Next post Are Ceiling Fans Supposed to Wobble?